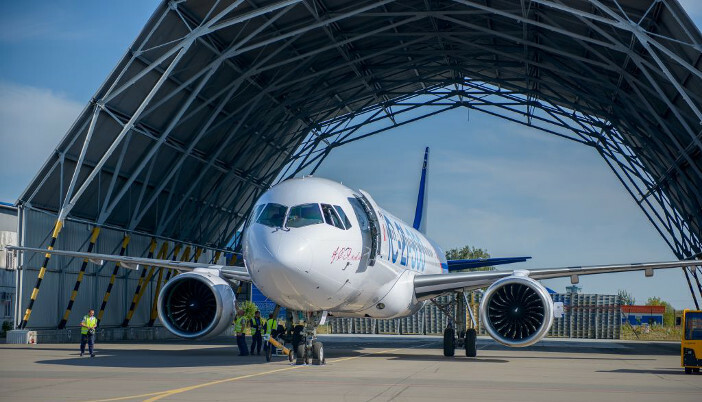 Two test pilots and a flight test engineer from the European Aviation Safety Agency (EASA) have joined Irkut’s flight test team in Russia for the MC-21-300 aircraft’s certification campaign. The MC-21 is a family of short- and medium-haul narrow-body airliners being developed by the Irkut Corporation. The MC-21 has a flight range of 6,400km (3,977 miles) and will be able to carry 211 passengers. Participation of EASA test crews in testing of the new aircraft is a prerequisite to its validation by the EASA. The MC-21-300 aircraft is being certified in accordance with both Russian and global standards. The application for type certificate of MC-21-300 aircraft was submitted to EASA in August 2016. The EASA staff have completed training procedures and obtained Russian permission to fly for the certification campaign of MC-21-300 aircraft. The team performed familiarization flights and training on simulators and test benches for take-off, approach and landing using both landing systems and visual approaches; the handling qualities and controllability characteristics of MC-21 aircraft; and how to deal with emergencies and high angles of attack when the stall warning activates. The training was provided by test pilots and engineers of the Flight Test Facility of the Yakovlev Design Bureau, a branch of the Irkut in Okrug, Moscow.